Cambridge University Press, 9780521588058, 430pp. 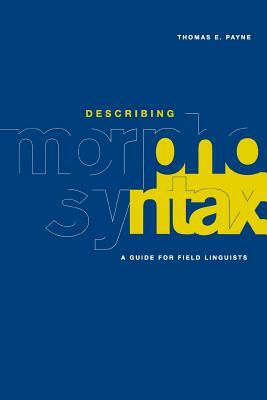 This book is a guide for linguistic fieldworkers who wish to write a description of the morphology and syntax of one of the world's many underdocumented languages. It offers readers who work through it one possible outline for a grammatical description, with many questions designed to help them address the key topics. Appendices offer guidance on text and elicited data, and on sample reference grammars that readers might wish to consult. This will be a valuable resource to anyone engaged in linguistic fieldwork.